The port of La Spezia is one of the most important of the Tyrrhenian Sea. The city is famous as a starting point for visiting the Cinque Terre and for its proximity to Porto Venere, but also for other monuments and tourist attractions such as Piazza St. Agostino, the St. George's Castle and the prehistoric settlements in the areas Rebocco, Vignale and Pegazzano. La Spezia has a wide selection of hotels near the station, around Piazza Saint Bon, but also along the downtown streets of Via Roma and Via Indipendenza, and on the parallel lines to Viale Italia, on the promenade, Via Vittorio Veneto and Via 24 Maggio. Select travel dates and find all available hotels in La Spezia, check out guests reviews and locate properties on La Spezia city maps, book your favourite accommodation with no pre-payment. All rates are in Euros and inclusive of all taxes. Hotel Ghironi offers an excellent location in La Spezia, near the Gulf of Poets and offers easy access to major highways. 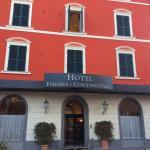 The hotel is located near the harbor where you can take a boat to the Cinque Terre. 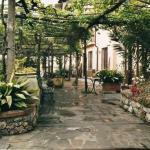 Locanda Dal Moccia is located at the foot of Mount Parodi, near the National Park of Cinque Terre. The hotel is located near La Spezia, a short distance by car or boat from Riomaggiore and Monterosso. 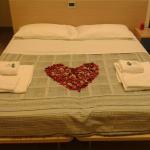 Hotel Le Ville Relais in La Spezia, is located on the western side of the beautiful bay. The building is surrounded by typical Mediterranean countryside near the small fishing village of Portovenere.